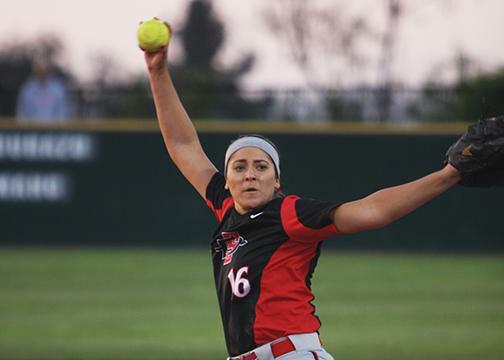 The San Diego State softball team (28-16, 11-4 Mountain West) is putting its perfect MW road record on the line this weekend as it visits Ram Field to take on Colorado State University (22-22, 3-9 MW). 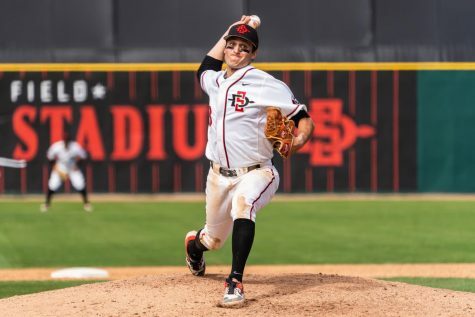 After dropping last weekend’s series to San Jose State University at home, the Aztecs are tied atop the conference with California State University, Fresno. 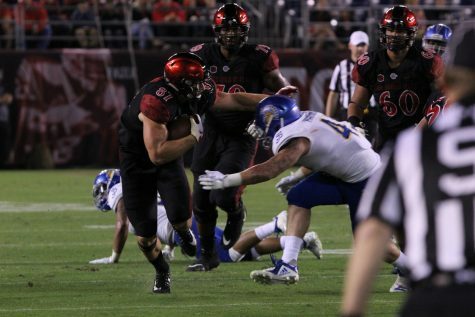 But SDSU looks to retake the MW lead as they take on the struggling Rams, who are 1-6 in their last seven games. 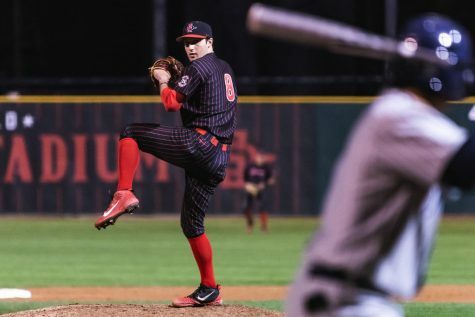 And while the Aztecs are vying for a regular season title and a post-season bid, the Rams would be satisfied leaving this series with a single win. CSU is currently the only team in the MW that is winless at home in conference play. The Aztecs are not the only ones visiting Fort Collins this weekend, as rain is looming on the forecast. 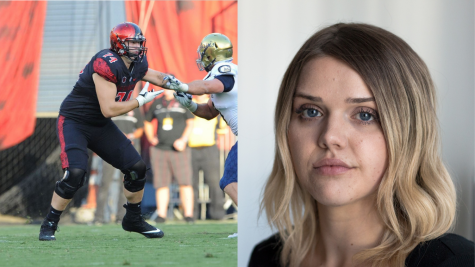 But for an SDSU team that has already experienced a weather delay this season, a possible doubleheader is nothing new. The Rams are looking weather the storm — literally — and overcome their worst conference home losing streak since 2010-11. Through the course of their six straight losses at home in MW play, CSU has been outscored 46-15 and has been the victims of the run rule in three of those contests. 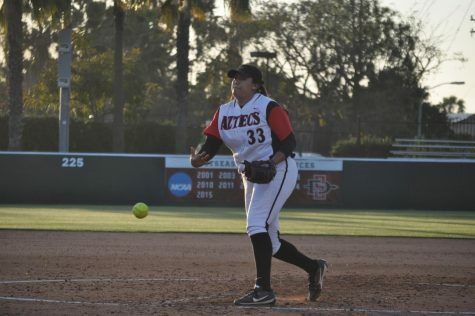 Meanwhile, the Aztecs’ bats have been hot of late, as they have averaged 10 hits and 7.5 runs in their last six games. Senior outfielder Kayla Jordan paced SDSU’s offense last week to her third MW Player of the Week award, all in the past six weeks. On the week she hit .524 with a home run, six RBIs, 11 runs and four doubles, and she also stole four stolen bases. 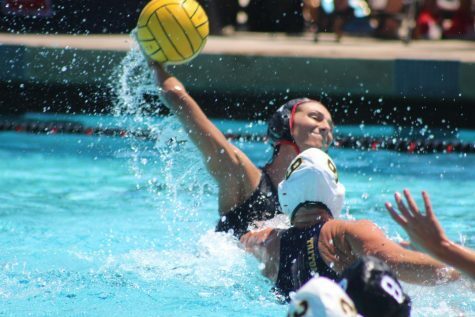 Even with all her team’s accolades and success, Van Wyk said it’s key to not underestimate any opponent. 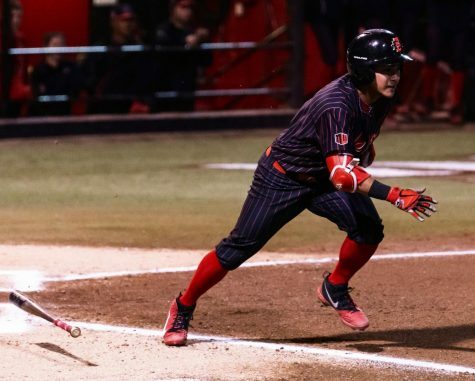 That is still much easier said than done, as the Aztecs will have to watch out for the Rams’ one-two punch of sophomore shortstop Haley Hutton and senior utility player Haley David. The leadoff and second hitter for the Rams, respectively, lead CSU in batting average and are the cogs for an offense that lacks depth behind them. However, what the Rams lack in offense they make up for by gambling when they reach base. On the season CSU has tallied 63 steal attempts, 57 successful stolen bases, both of which rank first in the conference. 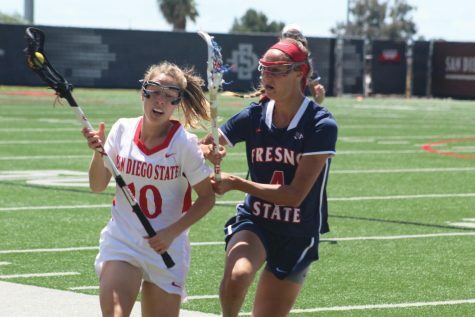 While this series will not determine who is crowned MW regular season champion, it will setup the final stretch for Van Wyk and her team, who are seeking their fourth straight MW title.